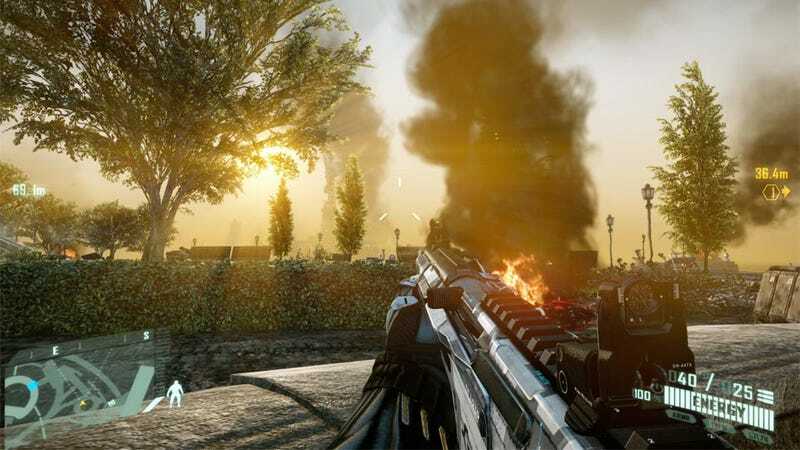 Crysis 2 won't be released officially for another month, but a playable version of Crytek's ambitious PC shooter has already made its way online, much to the disappointment of its creators. According to those who have played it—we first heard about the leak via the Facepunch forums—that leaked build of Crysis 2 comes complete with multiplayer and the master keys to the game's piracy protection. It is allegedly playable from start to finish, a seemingly near-complete beta version of its campaign. We contacted EA and Crytek for comment. Here's what they had to say. "Crytek has been alerted that an early incomplete, unfinished build of Crysis 2 has appeared on Torrent sites," reads EA's response to Kotaku on the matter. "Crytek and EA are deeply disappointed by the news. We encourage fans to support the game and the development team by waiting and purchasing the final, polished game on March 22." "Crysis 2 is still in development and promises to be the ultimate action blockbuster as the series' signature Nanosuit lets you be the weapon as you defend NYC from an alien invasion. Piracy continues to damage the PC packaged goods market and the PC development community." The game is scheduled to be released on the PlayStation 3, Xbox 360 and PC on March 22 in North America. Thanks to everyone who sent in tips!